Please remember the food box, which can be found to the right-hand side of the crèche area, and place any items you would like to donate in it. The next recipient of our donations will be Centrepoint. Please leave donations of cleaning materials and toiletries in a bag next to the food box rather than putting in with the food. Thanks. The Annual Boston Litter Pick is taking place daily from 15th to 18th April. The area around church will be done on Tuesday 16th April. It would be good if some of the Fellowship could take part. It starts at 9.00am daily with a free lunch. practise speaking English. We need more people to help this year. All you need to be able to do is chat to the students, drink tea or coffee, eat biscuits and stay for a simple lunch. We meet at 10.30am and finish around 2.00pm. Please speak to Patrick. Many thanks to all who donate milk bottle tops to be recycled. This raises money for the local Air Ambulance. Please remember that the tops MUST be free of any paper labels or foil inserts and can ONLY be the standard plastic milk bottle tops which are semi-transparent (see the picture on the collecting box which is on the table at the back of church). If you have any used stamps or postcards could you save them please. Kathy is collecting them for the Baptist Missionary Society World Mission. 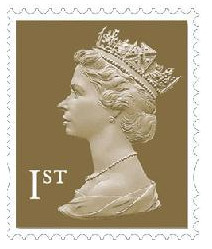 If you have collected any stamps recently could you please let Kathy have them. Thank you. A flower rota / calendar is on the back table for anyone who wishes to donate flowers to mark a special date or if they would like to help arrange them. Please add your name next to the required date. For more information please see the rota or speak to Carole McMillan or Jill Massey, thanks. Prayer Chain - for urgent prayer needs - contact Carole or Penny. or you can speak to Steve or one of the Deacons who will always be glad to pray with you.